Whitecross Village Hall is a lovely historic building dating back to 1896. 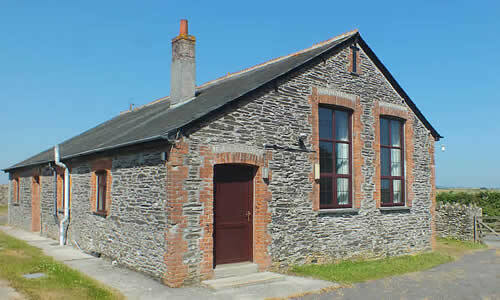 While retaining its historic character, Whitecross Village Hall now offers modern facilities with a large hall and stage and a well equipped kitchen and parking, making it an attractive venue for meetings, exhibitions, wedding receptions, parties and other functions and events in the Fowey / Polruan area and further afield, at very affordable prices. WiFi is available in the hall and the hall also has disabled access and disabled toilet facilities. If you are interested in hiring the hall, click here for more details. 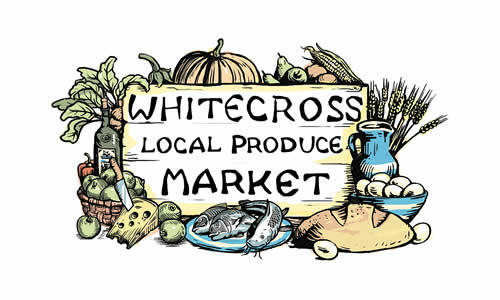 The monthly Local Produce Market and regular meetings of the Gardening Club and other local organisations take place at the hall. For more details, see the Hall Bookings Calendar and our What's On page. 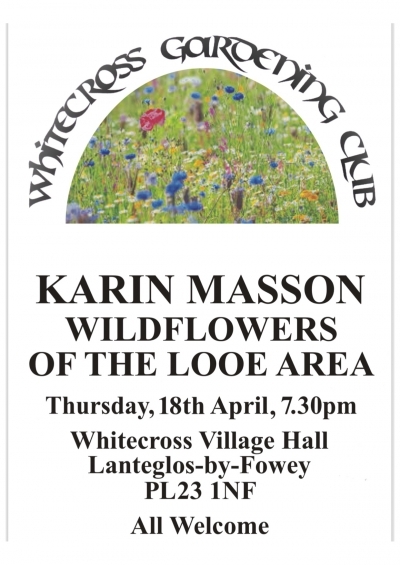 Talk by Karin Masson on the Wildflowers of the Looe Area. Whitecross Village Hall, near Bodinnick.